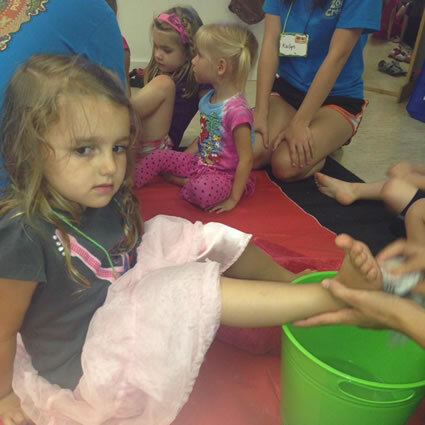 More VBS tonight and, as you can see, Anna was pretty thrilled to have her feet washed as part of a lesson (thanks, Brynn, for the picture). I read a news article this evening about an advertising stunt gone wrong where 3,000 ping-pong balls were dropped into a section of busy interstate traffic in Idaho. According to the article, the new pilot "apparently didn't understand that ping-pong balls lose speed quickly and drop straight down." In other news, the new pilot, Mr. Moose, was promptly sent back to his previous position on Captain Kangaroo. The MLB All-Star Game was tonight and I was able to get home from VBS in time to catch the second half of the game. Even though I loved seeing Adam Wainwright get pounded in the first inning, I wasn't really that interested in watching once I had the game in front of me. 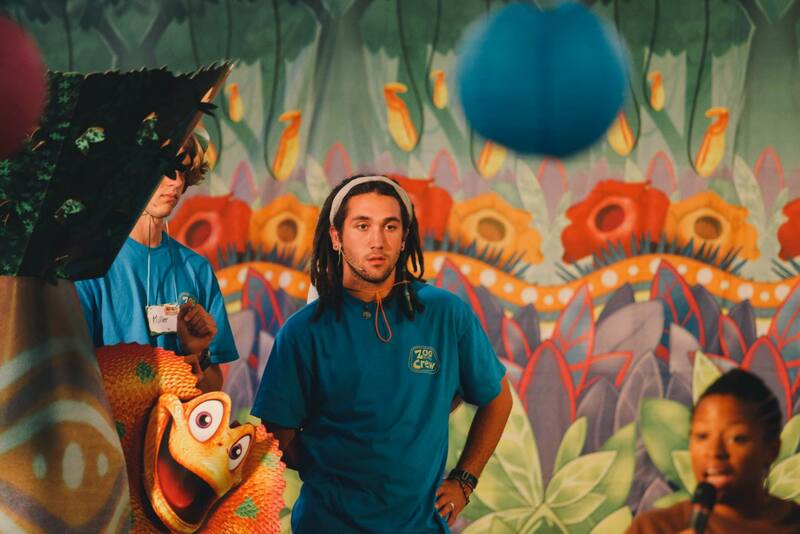 Instead, I got an interesting crash course on the finer points of coffee-brewing from Adam, one of the college students helping us out with VBS this week. I'll give him this, he knows his coffee! 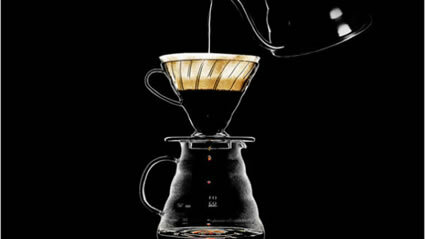 Until last night, I've always been perfectly content with my morning pot of Maxwell House or my cup of perfection from the gas station; but now that I've been enlightened, you can bet I'll be trying out the "pour-over" or the "cold brew." Maybe not on the regular, but I'm definitely intrigued. On a side note, Wainwright's poor performance in last night's All-Star game was clearly because Yadi wasn't behind the plate. Right, Cardinal fans? Or maybe he was going easy on the AL out of re2pect for Derek Jeter. There's always an excuse when things go wrong for the Cardinals. Always an excuse. Always. Speaking of the self-proclaimed "best fans in baseball," my pal Jeremiah recently introduced me to a song that I simply cannot get enough of. I've listened to this song every day since I first heard it a few weeks ago. Cardinals pitchers gave up all the runs in this year's All-Star Game.I guess they should have let Samardzija pitch after all. But Chad...it wasn't their fault! It was the catcher...it was Jeter...it wasn't the Cardinal pitchers...that's just impossible!